In San Diego County, six women are diagnosed with breast cancer every day and we lose one woman a day to this disease. The vast majority of those that die from breast cancer die from metastatic breast cancer (MBC). To reach our bold goal of cutting the number of breast cancer deaths each year in half, Susan G. Komen knows we need to focus on MBC—through developing effective treatment, providing needed resources to support better outcomes, and unlocking the cures. Susan G. Komen® San Diego will host San Diego’s second annual Metastatic Breast Cancer Conference, bringing together patients, scientists and physicians to learn about the latest innovations in MBC treatments, clinical trials, and patient support. The agenda has been developed based on Komen San Diego’s in-depth needs assessment and MBC patient interviews. Breakfast and lunch will be included. This event is free of charge, but capacity is limited. Please RSVP. 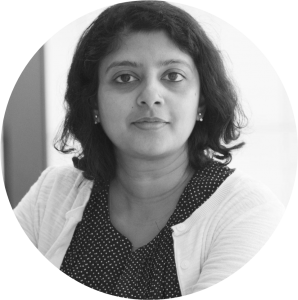 Dr. Haricharan’s lab focuses on the role of DNA damage repair in inducing resistance to endocrine therapy in breast cancer, particularly the role of HER2/4 in mismatch repair deficiency, and in identifying early driver mutations in breast cancer formation. 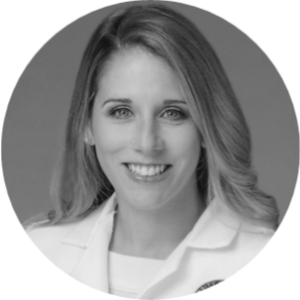 Rebecca A. Shatsky is a board-certified medical oncologist who specializes in treating breast cancer. She teaches residents and fellows at UC San Diego School of Medicine, conducts breast cancer research at Moores Cancer Center at UC San Diego Health and is currently working on launching a phase I clinical trial that focuses on the treatment of locally advanced and metastatic breast cancer. 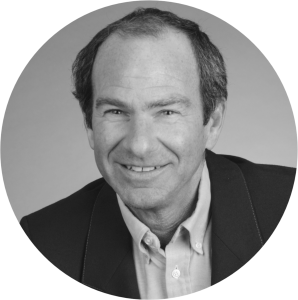 Dr. Keith D. Wilner joined Pfizer Global Research and Development in 1986. Throughout his extensive career at Pfizer he has overseen several early clinical development programs in the oncology therapeutic area, including clinical development of the Cyclin-Dependent Kinase (CDK) program in breast cancer and the Anaplastic Lymphoma Kinase (ALK) program in lung cancer. Moderated by Farideh Z. Bischoff, Ph.D., Vice President, Clinical Research at Imagion Biosystems, Inc.
Panel discussion on the steps of new treatment development, featuring clinical trial experts, Svasti Haricharan, Ph.D., Assistant Professor at Sanford Burnham Prebys Medical Discovery Institute, Rebecca A. Shatsky, M.D., Medical Oncologist at Moores Cancer Center at UC San Diego Health and Keith D. Wilner, M.D., Executive Director of Oncology at Pfizer. Moderated by Farideh Z. Bischoff, Ph.D., Vice President, Clinical Research at Imagion Biosystems, Inc.
Fast Pitch Contest – Local San Diego researchers will pitch their current work related to Metastatic Breast Cancer to a panel of judges for a chance to win a $1,000 award to help fund their metastatic breast cancer research efforts, sponsored by the Doris A. Howell Foundation for Women’s Health Research and $2,500 in spending credits to Scientist.com! Patients are welcome to attend this session and listen to the emerging work in our region. For contest eligibility please email Lizzie@sdkomen.org. Thriving with Metastatic Disease – This session will feature presentations from The Healing Foods Program of the Moores Cancer Center at UC San Diego Health and Cancer and Careers. Attendees will learn about healthy eating, cooking and nutrition, as well as workplace laws and protections for those who have been diagnosed with cancer and tips to continue working during treatment. Inspirational Keynote Presentation by Dr. Tarane Sondoozi, Psy.D., CEAP she is the Health Employee Assistance Provider at Scripps Health and a breast cancer survivor. Dr. Sondoozi will discuss her personal breast cancer journey from Diagnosis to Discovery, and how to accept and take control of your diagnosis and the keys to successful communication between patients and their medical team. This conference was made possible by a generous donation provided by Pfizer Inc.